If you haven’t caught on by now, I absolutely love Lorna Jane. Her mission statement has created positivity around the world and her fitness apparel has made working out something I truly look forward to! If I’m teaching class, I’m most likely wearing an LJ crop top. I just can’t get over the unique styles and colors. This is one brand I truly believe in supporting quality over quantity. The pieces I own will last me years (if treated right, no dryers please!). Please join me for a Warehouse Sale on Oak Lawn at THE SPACE! April 28th through May 1st from 8am to 7pm! There are tons of free workouts going on. Although I won’t be teaching this time around, I’m stoked Check it out below! Can’t wait to see you there Dallas babes. Happy Monday my amazing FitGirlfriends! Life is better when we share it right? Well, I am still coming off of such a wonderful weekend spend with one of my best childhood friends, and my fiance, and future family here in the Big D! 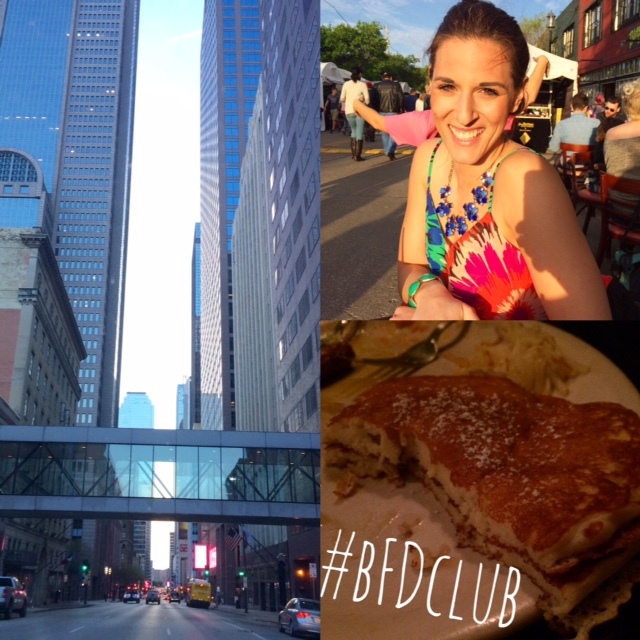 You might be wondering what a typical weekend looks like for me, and as much as I would like to say that I always get out to explore Dallas, I’m guilty of being a bit of a workaholic. Instead of staying in, we went out to enjoy the gorgeous weather! 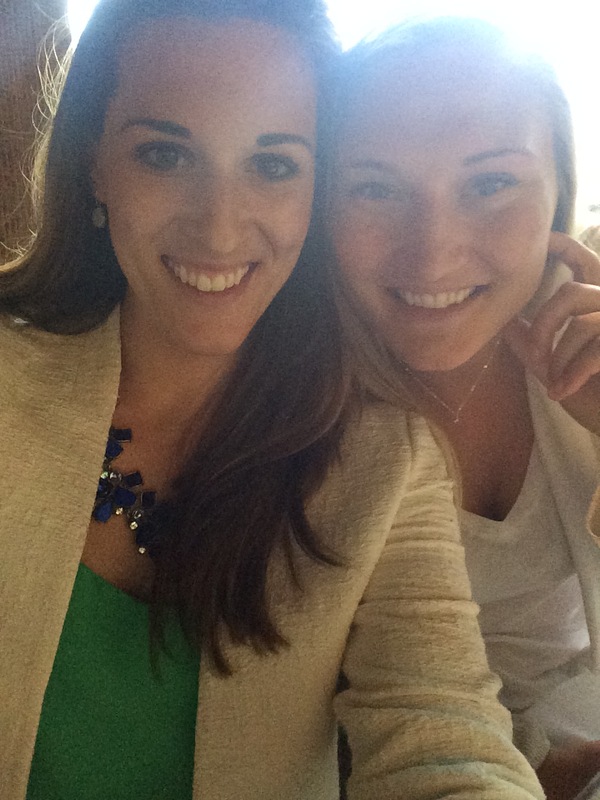 Carleigh and I have been what I like to call best ‘FitGirlfriends’ since we were young….playing sports, training for triathlons. Her love for soccer and track helped me continuously push my limits through hot summer nights, literally spent doing her D1 soccer workouts at the track until 9pm. While I loved to work on the body’s form and was literally obsessed with making her do my grueling ab workouts, we made an awesome pair. Friday we started our day off, working out in my living room and sweat through Insanity Max 30 (sweat intervals month 2) for 30 minutes of craziness! After re-charging with my favorite chocolate nutrition shake, shakeology, we headed out to the West Village to do some shopping. We ended up finding the cutest spring finds at Flirt Boutique-check them out! Also stop into Paciugo for some dairy-free (and very tasty) gelato options. Friday night my fiance and I went on a date to the Deep Ellum Arts Festival and found the coolest pieces of art from vendors all over Texas. The weather was perfect to stop for a margarita, and enjoy some people watching! After that we went to Elle’s Southern Kitchen in the West End of downtown for some #BFD. Breakfast for dinner is just something fun once and a while, the pancakes there are a must try! Saturday, as if we weren’t already sore enough, Carleigh and were privileged enough to take not one but TWO heart-pumping, fierce, and fun sweat sessions at Dallas Grit Fitness! 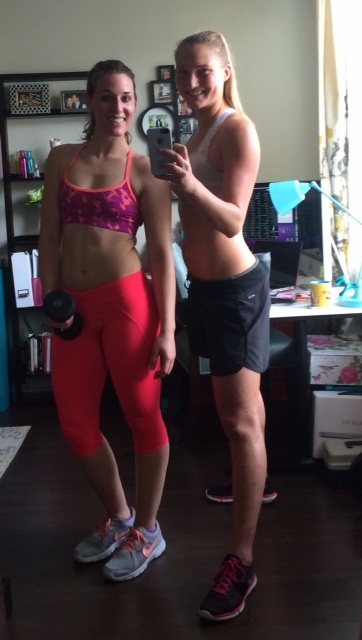 We took Flexin’ Flow by Brit at 10 and Turbo Kick at 11 with Anabelle! 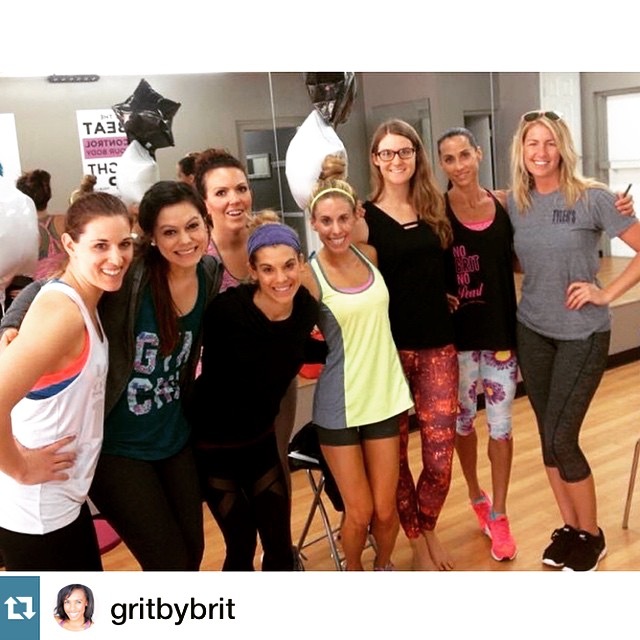 If you have been looking for a new type of experience in your fitness life-Grit is a one of a kind community. We burned over 1,000 calories between the two! I know these classes were new to both my friend AND my fiance (bless his heart for joining us!) but they were challenging and fun in a great way-something to be proud of! Turbo Kick is sort of my soulmate workout. I couldn’t really imagine my life without it! Think amazing hip hop, fresh new pop hits, and some crazy kick-boxing choreography. Turbo Kick is one of those classes that you will want to take at least 3-5 times before throwing in the towel! It’s meant to confuse your body, and as long as you keep moving, have fun, and do NOT take yourself too seriously, you will get a great workout and have fun! I stayed after our class for Instructor orientation, and am currently working towards becoming a part of the Grit Instructor Dream Team! Wish me luck, I hope to see y’all there in the future for ANY class. We have so much fun! Enjoy your first week of unlimited classes for just $10! After heading to Watermark-my family’s church-home in Dallas and enjoying the Easter Service on Saturday afternoon, Carleigh and I had our own girls ‘date night’ in the West Village at Eureka! If you haven’t tried this place yet, go tonight! It’s amazing. Such a fun farm to table concept, with open air seating onto their patio, and a menu that will (literally) rock you! 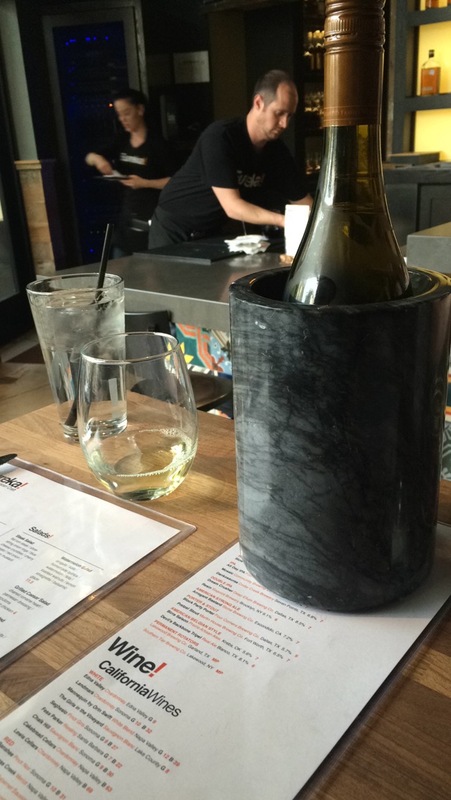 We enjoyed a bottle of Pinot Grigio chilled in this marble wine cooler-which I absolutely loved. After deciding between burgers and salad, we decided to do a little bit of both! You can order any burger ‘naked’ on a bed of fresh arugala which was lovely (highly recommend the Fig burger and the Havarti burger) and my favorite part of the meal was our Beet salad-complete with oranges, fennel, goat cheese, walnuts, watermelon, and POPRocks! Highlight of our night. Check them out and don’t be afraid to have their amazing french fries as well! The portion sizes are great and the flavors are memorable!